In the same family for generations, this Mid-Century cape is rock solid, cute as a button and boasts original woodwork, plenty of space for everyone and a gorgeous park-like backyard. 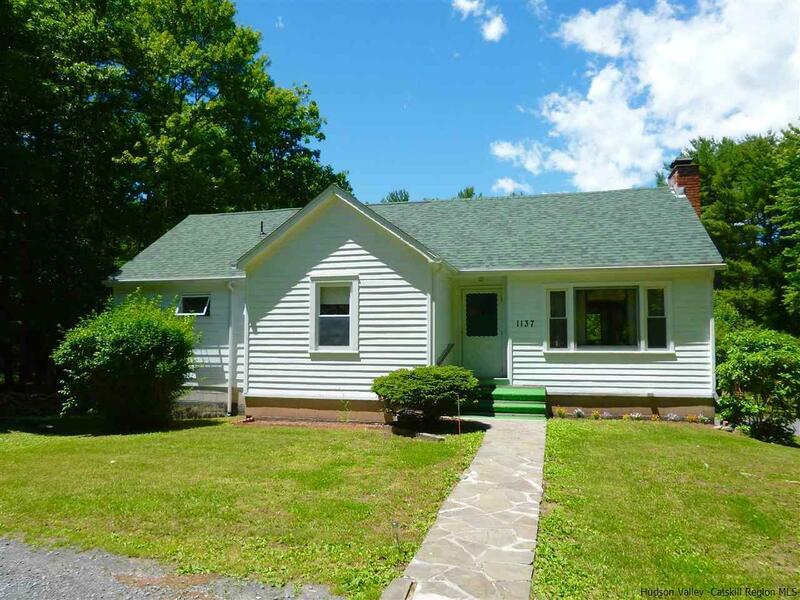 Located midway between Woodstock and Saugerties, enjoy the country life and still be within 15 minutes to the two Villages, and the City of Kingston for an abundance of restaurant, shopping and entertainment options. Enjoy bird-watching and wildlife sightings from your back deck which is perched high above the lawn for expansive views, or garden to your heart's content. The large open living/dining room is bright and sunny with views to the back and a fireplace. The kitchen has a cozy vintage feel and opens to the deck. The Master bedroom is an addition and is actually a suite of two rooms plus a bathroom with its own separate entry as well. Another bedroom and bath round out the first floor. The stairway off the kitchen leads up to a large third bedroom or playroom for children or adults if you wish. Plenty of extra storage as well. There is a full basement and two car garage below for hobbies, tinkering and of course, more storage.